We look at early sales of the Air Jordan 6 Black Infrared and see how it compares to other colorways of the 6 silhouette. Next week, on February 16, we get the release of the Air Jordan 6 Black Infrared. The Infrared 6 has long been among the most iconic colorways in the Jumpman universe, owing to its remarkable place in history: this was the sneaker Michael Jordan wore when he won his first championship, back in 1991. Over the past two decades, the Infrared 6 has been retro’d a handful of times, with releases in 2000, 2010, and 2014. 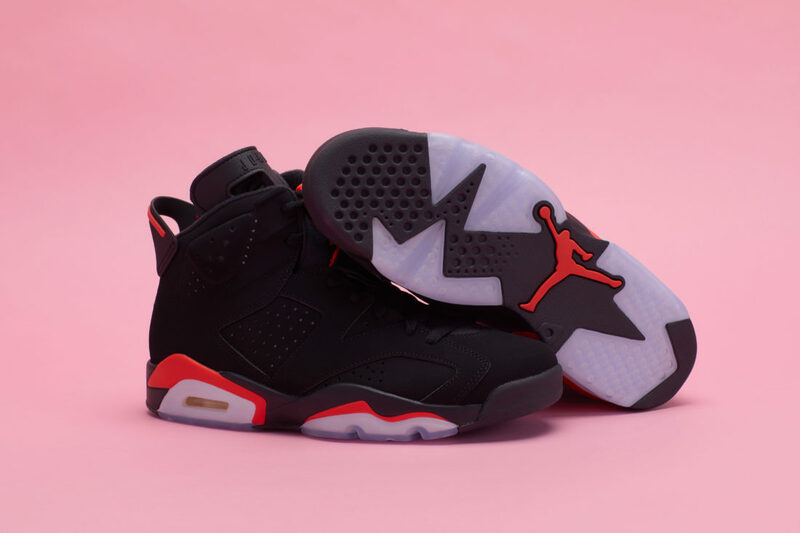 But several factors about the current release – like the accuracy of the colors and the OG “Nike Air” branding – suggest that this will be the most popular Infrared 6 to date. 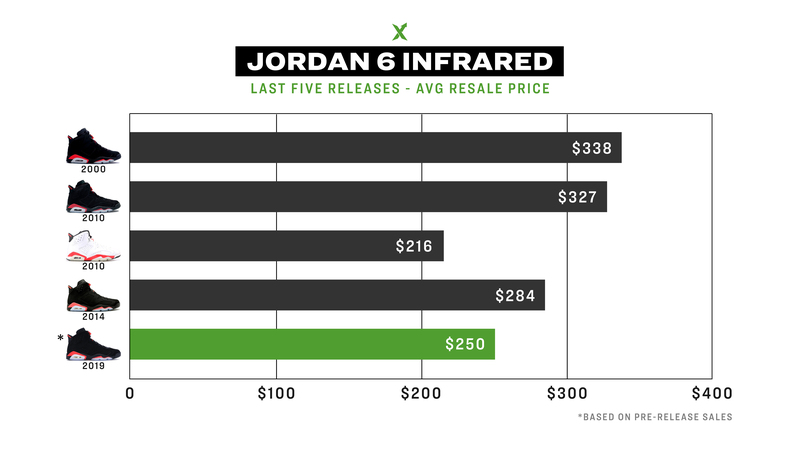 Jordan Brand surprised fans last week with a limited in-store drop, and in the days since, the Infrared 6 has been steadily climbing up the StockX charts, with a respectable resale value of $250, on average. Last Saturday it entered our top 10 best-seller list, and it has stayed at the top of the rankings ever since. Given these strong early sales numbers, there is every indication that the Air Jordan 6 Black Infrared will be among the strongest releases of this quarter. As you can see, the $250 resale price of the 2019 Air Jordan 6 Black Infrared falls on the low end of the range for this model. 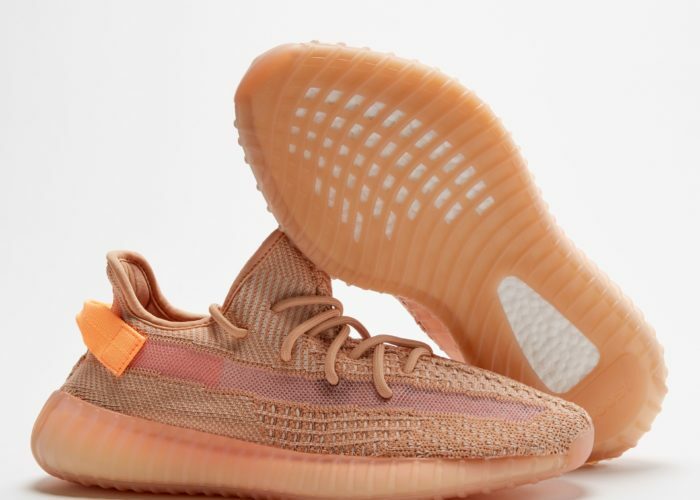 The only other colorway with a lower resale price is the White 2010 release, which is understandably less valued than the more-popular black versions. The Black 2000, 2010, and 2014 colorways are all reselling for more – from $284 for the 2014 release to $338 for the 2000 release. 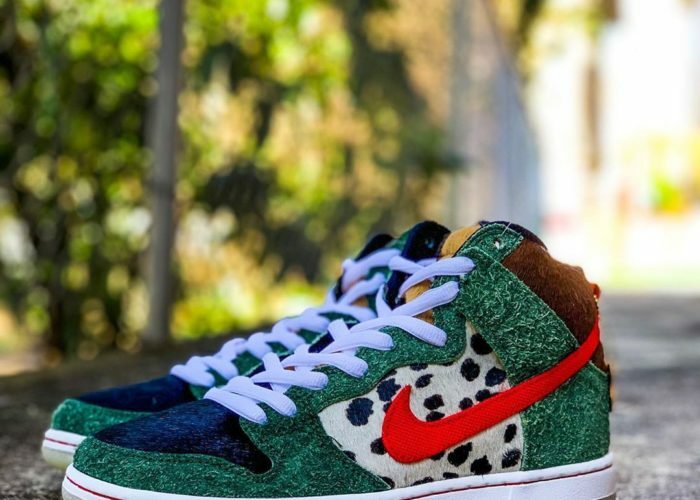 Of course, it’s typical for older colorways to sell for more, on account of their age and scarcity. So the fact that the 2019 Infrared 6 is already at $250 suggests it could end up being a valuable long-term investment. Compared to other Jordan silhouettes, the Jordan 6 has never been a particularly popular model. Consider some numbers. 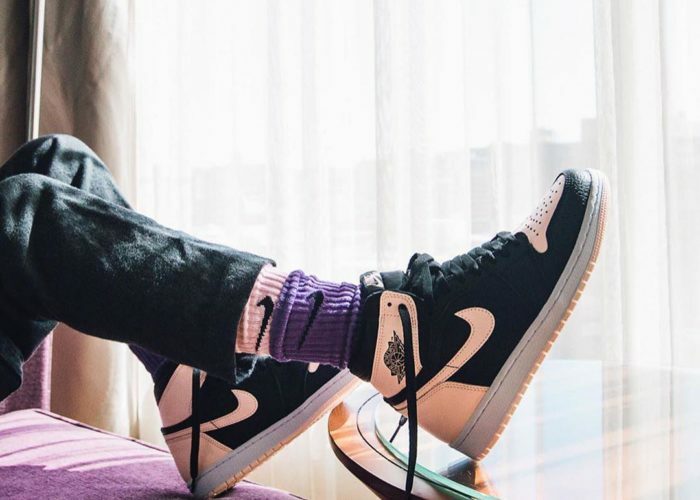 Since 2017, there have been 236 Jordan colorways that ended up being major releases (defined here as releases with at least 500 StockX sales). Of those, only 10 of those 236 Jordans were Jordan 6s. Compare that to 95 Jordan 1s, 20 Jordan 4s, and 19 Jordan Elevens. Since 2017, the most popular Jordan 6 has been the Jordan 6 Retro Gatorade Green, and that ranks just 60th overall among all Jordans. The Jordan 6 silhouette has not been particularly profitable either. Of those 10 Jordan 6s with at least 500 sales, only 3 had positive average price premiums, while the other 7 have been reselling at or below retail. The most profitable had been the aforementioned Gatorade Green, and even that posted only a modest price premium of 20%. Yet compared to the normal Jordan 6 numbers, the 2019 Air Jordan 6 Black Infrared is proving to be both popular and profitable. It’s still a week away from its official release, and it has already chalked up 1500 sales on StockX, making it the 5th best-selling Jordan 6 to drop in the last 2 years (A few weeks from now, it will almost certainly be number 1 if trends continue). And with an average price premium of 25%, it’s more profitable than any other major 6 release. Given the iconic status and rich history of the Infrared colorway, it is fitting that this is the one that breaks the mold.